If you’re just starting out with SEO and digital marketing, a lot of terms can feel like gibberish at first. That’s why we’re giving you a helpful lexicon here. This glossary is meant to provide you with a better understanding of terms commonly used in Web marketing, e-commerce, and all things to do with SEO. We’ll keep updating it and adding to it as we go. Everything is in alphabetical order, but you can also find things more quickly by using the search function on your browser. If you have a term that you want us to define or add to this glossary, just tell us in the comments section! 301 Redirect – It is a command that automatically and permanently redirects a searcher from one URL to another. 302 Redirect – The same as 301 redirect, with the exception that the redirecting process here is only temporary. 404 Error – It is an error message that means the server currently cannot find or load the requested page. A/B Testing – Also called split testing, it is the process of testing and comparing between two versions of a landing page, an advertisement, etc. The performance of these versions is also measured to see which one would fare best in Internet marketing. Above the Fold – The portion of a website that is easily viewable without scrolling down. AdSense – A Google service that allows advertisers to purchase space for their advertisements, which would not only help generate traffic, but will also provide said advertisers profit when these ads are clicked. Advertising Network – A service where an advertiser or an advertising company buys ad space from a company that controls and manages the appearance of these advertisements on certain websites for a profit. Affiliate – It is defined as a person or organization that is a part of a larger body or organization. In terms of affiliate marketing, the seller/salesperson is considered the affiliate. He is responsible for selling the products and services of the merchant. Affiliate Directory – It is the list of existing affiliate programs. Affiliate Fraud – Dishonest or criminal practices that affiliates would engage in to generate false results to get commission. Affiliate Marketing – It is the process of marketing products and services that are not your own. It is basically third-party marketing, in which the affiliate will receive commission depending on performance measures, such as high click-through rates and sales. You can also engage in affiliate marketing by partnering with affiliates to lead more traffic to your site. Affiliate Merchant – In affiliate marketing, the merchant is the one who advertises his products and services. Alexa Rank – It measures the traffic that goes to a website. A low Alexa rank means higher traffic. Algorithm – The basic technology that search engines use to retrieve search results and rank them according to relevance to the query. Alt Tag – It is an HTML attribute that displays alternate text in case images cannot be loaded. It is also a way for search engines to know what the image is about. Analytics – These are essentially the statistics and gathered data about a particular site. Analytics are very important to determine if your marketing techniques are effective or not. Anchor Text – It is the clickable, highlighted text in a hyperlink, which, when clicked, will lead to another website. Article Marketing – In SEO, this term has come to stand for a marketing strategy that involves the production of content submitted to multiple article directories. Businesses using this strategy often produce multiple versions of one piece of content through rewriting/rephrasing—a technique called content spinning. These pieces of spun content are then submitted to different directories in an effort to increase exposure and links to the business’s website. Article Spinning – It is the process of creating multiple versions of a single article by replacing words and sentences in that article. Authority – The authority of a website depends on a number of factors like its popularity, incoming traffic, one way links, and overall popularity on social media (likes and shares). Of course, authority will also depend on the usefulness of the content. Authority Linking – Authority linking is the process of linking to a highly credible website, with credibility being measured relative to its niche or expertise. An example of this type of linking would be a local health site that links to the American Medical Association (the authority). Authority Link – an inbound link coming from a site that is considered authoritative by the search engines.This “authority site” is typically one that ranks well with the search engines, has high-quality content, and/or is often cited by others its niche. Authority Site – An expert website whose content is relevant to its audience and whose site provides excellent experience for the visitors. Author Rank – It is the rating or search ranking given to a particular kind of content based on the credibility of its author. Automation – The process of mechanizing manual tasks, such as filling out online forms and subscribing to online newsletters. Autoresponder – Usually used in email marketing, it pertains to a software solution that automatically responds to an email sent to a particular email address. Confirmation emails to newsletter sign-up/registration forms are examples of autoresponders. Backlink – A link on a website that leads back to your page. Banners – Visual advertisements on websites that may be animated, interactive, or static. Banners come in different sizes, and they can be placed anywhere on a page. Below the fold – The part of a website that is only viewable when you scroll down. Black Hat SEO – This refers to a class of SEO that uses questionable techniques to gain a higher ranking on the SERPs. It is often typified by a failure to stick to the search engines’ guidelines for SEO. This includes hacking and spamming other websites. Blekko – this is a search engine known for its use of slashtags to narrow down search results to specified categories, as well as its use of human editors to prescreen search results in order to exclude spam. Blog – It is a site or an area of a site that contains the personal opinions, experiences, and entries of a person. It could be an online journal. It could also be your business’s area to provide fresh, relevant content for their readers. Blogosphere – A slang term for a collection of blogs. Body Copy – On a webpage, article, or an advertisement, the body copy is the main text that contains the most useful information. This does not include the primary headline, the logo, subheadings, etc. Bounce Rate – It is the percentage of people who only visit one page of a website. These visitors usually just look at one page, then leave the site. This explains the term: they touch on only one page, then bounce off to another site right after. Bot – It is a software program that is responsible for automating and executing tasks on the Internet. Brand Mentions – When someone mentions your brand organically (without you soliciting it, for instance) on the Web, this is a brand mention. A good way to establish brand authority, they usually (but not always) come with a link to your site. Brand Awareness – Brand awareness refers to the amount of familiarity consumers have with the image, quality, or trademark of a specific brand and its products and services. Breadcrumbs – A trail that enables you to see the position of the current page within the entire structure of the web address. Breadcrumbs are mainly important for navigating through the pages of a website. Brick and Mortar – A term used to describe physically existing shops and establishment. Broken Link – A broken link is a dead link. It is a link that leads to a dead website. Broken links are caused by several things, such as a deleted URL, website transfers, and even typographical errors in the page’s source code. Broken Link Building – It is a link building technique where a person searches for a broken link in another website. Having found one, that person will then inform the website owner of the broken link and suggest alternative links and resources, usually his own. Broken link building is considered a white hat SEO technique. Using extensions, such as Check My Links, can help with broken link building. Browser – It is the program that allows you to view websites. Examples are Internet Explorer, Mozilla Firefox, and Google Chrome. Buzz Monitoring – An activity done in reputation management, wherein Web and social media mentions of a company or a brand are tracked. Cache – Stored server data that can be accessed in the future. Caches save time in terms of page loading speed. Call to Action: A call to action is an advertising concept that uses urging words to encourage the viewer to accomplish an action. Examples of calls to action are “Call Now”, “Share”, and “Click here for more info”. Also known as CTA. Canonical: The term “canonical” means belonging to the canon. A canon is an official collection of documents that are considered genuine and authoritative in their subject matter. In this case, knowing the canon of a text or a type of content makes it possible to give credit to the original source of that content. While all three may look the same and point to one webpage, search engines see these as completely different from one another. Fortunately, there are ways to prevent canonical issues, one of which would be to use 301 and 302 server redirects to make sure that these URLs will direct the visitor to your intended domain. CAPTCHA – Completely Automated Public Turing test to tell Computers and Humans Apart. Basically, CAPTCHA is a test that distinguishes between computer and human actions. It is also used for security measures, such as for preventing spam. Case Study: It is a form of intensive analysis of the development of a particular subject over a specified period. CDN – Content Delivery Network. It is a group of servers that deliver content based on geographical proximity of the end-user. Citation – Any mention of your name or business name, whether as a link or not. Cloaking – A black hat SEO technique that works by showing content to the search engine spider, but then presents a different content on the browser. CMS – Content Management System. It is a program that deals with managing, editing, publishing, and maintaining the content of a page. WordPress and Drupal are examples of this. Commission – In affiliate marketing, a commission is the fee paid to the affiliate who has successfully driven traffic to the merchant’s website. Commission may be fixed or based on the percentage of conversion or sales. Competitor Research: Competitor research, or competitor analysis, is the strategic process by which a business gathers information about competitors and uses the collected data to evaluate the brand. In link building, competitor research includes finding out the competition’s SEO strategy, target market, keywords used, etc. Content – Everything that you see on a website is the content. It is basically information that comes in the form of text, pictures, videos, audio, charts, infographics, etc. Content Gap: This is basically important information about a topic, a brand, the company, or a product of service that would be salient to cover, yet which remains untouched by current published material. Content Link Building – Content building is essentially the process of acquiring links using high-quality content. Forms of content that catch the audience’s eye are most likely to be shared across the web, commented on, and facilitate a lot of engagement from the viewers, and this activity would boost the popularity and rankings of not only that content, but also the website that originally published it. Content Marketing – The process of optimizing and marketing content to drive more traffic to a page and increase conversion rates. Contrary Hook: A contrary hook is meant to facilitate the participation of the viewers by posting topics about your industry that have a polarizing nature. It could be a statement or a question that would encourage the viewers to voice out their opinions, and hopefully post the link to the contrary hook along with their reactions. Conversion – Conversion is when a person does your desired action. For example, if your aim is for your Facebook page to get more likes, when a visitor likes your page, he is then described as having converted. Conversion Rate – It is the measure of people who go to your website and execute your desired action. For example, if your desired action for visitors is their purchase of Product A, the conversion rate (as a percentage) would be the number of visitors who purchase Product A divided by the total number of visitors. Cookie – It is a text file that is retrieved and stored by websites and browsers that tracks and records the activity of a user, including his password and browsing history. Copywriting – The process of using words and texts for advertising purposes. CPA: CPA or Cost Per Acquisition refers to the pricing model in which the advertiser is charged something per new customer (definitively) acquired. No acquisition means no charge. CPC – Cost Per Click. It indicates the price you pay for a click of an advertisement. CPM – Cost Per Mille. It indicates the price you pay for 1000 views of your advertisement. Cracker – Criminal Hacker. A cracker is basically a hacker with malicious intent who engages in illegal or unethical acts. CSS – Cascading Style Sheets. It is the web language that enables you to stylize certain webpage elements like font type, size, and color and background design. CTA – Call to Action. Texts and buttons that encourage the reader to execute an action (e.g. Buy now!, Click here, etc.). CTR – Click Through Rate. The rate by which people click on your ad or link. Custom Error Page: A custom error page is a customized error message that will be displayed when a website is experiencing technical difficulties or site maintenance. Instead of showing the usual “Page Not Found”, a customized error page would often show the error notice, along with other useful elements like the search bar, which would encourage the visitor to browse through the website’s other pages as opposed to leaving. Dedicated Hosting – Website hosting that is exclusive to only your website. Deep Links – Deep links are examples of internal linking. Instead of directing the clicker to a general page, like the homepage, deep links are meant to direct the clicker to another page within that site whose topic is relevant to the page he was directed from. Deep Link Ratio – The ratio refers to the number of deep links present on your website versus the number of links that direct people to the homepage. Deep Linking – A backlink that leads to an inner web page, instead of the homepage. Deindex: Being de-indexed is probably the worst thing that could happen to a website that wants to gain popularity through search engines. A de-indexed site is one that has been removed from the search engine’s list of results due to extreme offenses. Thus, a de-indexed site, regardless of its relevance to the searched keywords, won’t appear on the SERPs anymore. Take note that de-indexing is different from site penalties. With site penalties, a site will only lose its ranking on the SERPs. Directory: It is a digital phonebook. A directory is a website that contains a wide list of individuals, businesses, brands, and products and services, all of which are organized and placed into appropriate categories and subcategories. Online directories often allow anyone to submit a listing, some for free and others for a fee. A well-known example of a directory is DMOZ. DoFollow Links – Backlinks that are traced and followed by search engine spiders. Domain Authority: Domain Authority (DA) is a major search engine factor developed by Moz. A website is given a score from a 100-point scale. This score determines how the said website will be ranked by search engines. To predict a site’s domain authority, Moz uses an algorithm that takes into account a site’s link metrics. Domain Name – The name of a website that is composed of letters, numbers, and symbols (e.g. www.domainname_1234.com). Downsell – In the sales funnel model, downsell refers to the process of offering a client a more affordable product when said client rejects an expensive one. Drip Marketing – It refers to the communication marketing technique wherein messages are sent to the target market for over a period of time. Email and SMS marketing use drip marketing technique. Duplicate Content – Content that has been copied, or content that has been used multiple times in different websites. Dwell Time – The time it takes for a visitor to “dwell” on your website. In other words, it is the time spent by a person on a website. It is considered as a key performance measure, since the longer the dwell time, the better the chance for the visitor to convert. Dynamic Website: A dynamic website is one whose content continually changes automatically. The content may change based on factors such as the date, time, user’s site activities, etc. Ebook – An electronic book.The digital version of a book that can be read from electronic gadgets. E-Commerce – Any form of business that is done over the Internet. E-Commerce usually involves the process of advertising and promoting tangible and intangible products and services online. EdgeRank – This is the algorithm that Facebook uses to rank the posts that will appear on a user’s News Feed. Educational Links: Backlinks from websites that have the .edu domain are called educational links. These links often come with high authority because of their content, and so educational links provide a favorable amount of link equity. Ego Bait: Basically, ego bait refers to the method of encouraging people to link to a site and share a content by creating flattering and positive content about these people. Email List – A list of email addresses that belong to the people who have signed up to your newsletter or have previously bought your product or service. Email Marketing – A form of marketing done through email. It uses emails to send target customers content that will encourage them to convert. Embed Code: An embed code is a piece of HTML code that one can copy and paste to a page to make it easier to share the content for that particular embed code. Embedded Link: An embedded link is simply a hyperlink that is placed within the body of an article or anywhere on a webpage. Embedded links are often visible in blog posts. Evergreen Content: Evergreen content is what you call a piece of content that is classic and always useful, regardless of the time it was posted. Typically, evergreen content stays away from trendy topics or current events to prevent losing people’s interest when these issues eventually die down. You can share evergreen content on your page for link building purposes. Exact Match Domain – EMD – an exact match domain refers to a domain that matches precisely a search term or keyword for which it is trying to rank. For example, if a business owner is selling litter boxes and wants to get the exact match domain for “litter boxes”, the domain he would try to get might be “LitterBoxes.com”. Expired Domain – Domains that were previously registered, but that for some reason were left to expire by the owner. External Link – It is a link on your webpage that directs to another website. Expired Domain – these are domains whose registration has run out. This is usually indicated by a message on the webpage stating that the domain has expired and is for sale. Expiration may be caused by various things: the domain owner’s inability to continue paying the registration fee, his decision to abruptly quit his website, or his forgetting to renew the registration on time. Whatever the case, these domains are eventually put up for auction again for new owners. Facebook Vanity URL – A feature on Facebook that allows users to personalize their Facebook URL. For business owners, having a Facebook vanity URL makes it easier for their followers and customers to remember and find them on the social network. Using a vanity URL is a great way to brand your company name. Feed – Data that perform multiple purposes. The most popular example is RSS feeds, which will provide you with updates of your favorite websites. Flash Intro: Flash intros are short videos that sometimes automatically play before the visitor can navigate his way through the website. Using flash videos is not an effective SEO technique because people generally don’t want to wait for these videos to buffer, play, and end. Also, flash intros do not give plus points in terms of search rankings because search engines are not able to read and rank the content of the video. Findability – By definition, findability refers to the ease by which a website can be found or searched through search engines. First Crawled – Short for “First Crawled Date”, this refers to the date that a website was first crawled by spider bots like Googlebot. Footer: The footer is the section and the piece of information that one can find at the very bottom of a web page or any printed material. In online documents and websites, the footer is where you can find most technical data about the content/page, such as the author, contact details, company name and address, date when the article was published or updated, and copyright information. Footprint – It is a tag that indicates that your website satisfies a set criteria. A footprint also serves as a search tag that will help you locate something that appears on other websites. The most popular example of a footprint is the “Powered by WordPress” that allows you to search for blogs. Forum – An online place where people can discuss their thoughts and find information about a common topic. Funneling – The process of subjecting leads to stages of conversion and call-to-actions. For example, when a person visits your website, he may be invited to like the site’s Facebook page, then sign up to a newsletter, and then buy a product or service. Geo-targeting – A process used in Local SEO Optimization wherein the placement of advertisements is dependent on the searcher’s location. GoogleBot – Google’s spider software that continuously searches and indexes websites in order to keep Google’s search engine database current and relevant. Google AdSense – An advertising platform by Google that allows webmasters to put advertisements on their own sites in order to generate a trickle of income. Google AdWords – An advertising network by Google that enables advertisers to put up their ads on Google products to make a profit. Google Authorship – this is a now-outdated concept. Google Authorship was a method Google used to attribute content clearly to a particular content creator, i.e. a tool for authors to claim ownership of the content they create, using Google+, when that content appears on the SERPs. Google Analytics – A free tool from Google that allows you to track website activity and return on investment. It is very useful in terms of following traffic sources and activity. Google Bowling – Another term for negative SEO. It refers to activity that is done to lower the search ranking of other websites, particularly competitors. Google Dance – The Google ranking of a website on the SERP is said to be dancing when it keeps fluctuating, instead of just remaining stable. This is a normal occurrence for new websites. Google Disavow Tool – A tool used to tell Google which backlinks shouldn’t be included when it calculates the ranking of a website. Google Hummingbird – a search algorithm that Google revealed and began using in 2013. It got its name from its supposed improvements on search precision, context and speed. Unlike the Panda and Penguin updates (see their entries below), this was a more comprehensive update: Panda and Penguin were encompassed by it, along with other parts of the old algorithm. Google Keyword Planner – A tool that comes with Google AdWords, which helps you come up with ideas for keywords and ad groups. The planner will also provide details about the efficiency and performance of these keywords. Google Mayday – Mayday is an algorithm update from Google that focused on improving the quality of search results for long tail keywords. Google PageRank – It is a ranking algorithm that Google uses to determine the importance of a website. Google Panda – Introduced in February 2011, the Google Panda update refers to the change in Google’s search ranking algorithm that seeks to lower the ranking of low-quality and thin sites, and increase the ranking of high-quality and relevant ones. Google Penguin – Introduced in April 2012, the Google Penguin update aims to target unnatural and suspicious backlink profiles. Google “Pigeon” – This was an algorithmic update from Google that aimed to improve the quality of local search results that are closely related to the traditional search ranking signals. Green Content: Green content is a type of content that is created to catch the attention and approval of green or environment-conscious people and groups, in the hopes that they will link to the content. Grey Hat: SEO techniques that are neither purely white nor black fall under the category of grey hat SEO. Grey hat SEO techniques play upon the loopholes that may be present in Google’s authorized guidelines. Guerilla marketing – The process of using low-cost but innovative techniques to bring more exposure to a product and service. Guerilla marketing, because of its unconventional way of advertising, has proven to be strong in terms of engaging the audience. Guest Posting – It is the process of writing content that will be displayed on other websites. It’s also the process wherein other people write content that will be displayed on your websites. Hacker – A person who is highly skilled in computer programming. Hits – Hits refer to the number of times your website is visited. HtAccess – It is a configuration file that has commands known and executed by web servers. It can also be used as an override bypass set configuration settings when necessary. It is mainly used to control access to web content, usually by requiring passwords. HtAccess files can also be used to redirect users to different URLs and ban access to websites and IP addresses. HTML – Hypertext Markup Language. It is a programming language that is used to make websites. HTML is also responsible for giving out commands that enable browsers to open these websites. HTML Tag – It is an individual element found in an HTML document or web page. HTTP – Hypertext Transfer Protocol. It is a protocol used by the World Wide Web to transmit and display information and files, such as web pages. HTTPS – HTTP Secure or HTTP Over SSL. It is a protocol that ensures secure communication between networks. It is also used by websites that require the user to input sensitive and private data. HTTPS works by using SSL/TLS with the regular HTTP layer to further improve security. Hreflang – It is an HTML attribute that indicates the linked document’s language. Hyperlink: A hyperlink is a clickable text written in HTML code, which, when clicked, will direct a person to another web page. Impressions – The number of views that an advertisement receives. Inbound Link – Also known as a backlink, this is a link that is directed to your website or a page on your site. Inbound Marketing – Inbound marketing basically refers to showing content that is relevant to your targets then attracting them to perform an action. The target should be the one to seek you, not the other way around. It’s a wonderful concept and if you aren’t making use of it in your business strategy then you need to think about using it as soon as you can. Read more about inbound marketing here. Income Report – The monthly report that shows the earnings and expenses of a website. Index Status – A feature of the Google Webmaster Tools that shows the statistics of the URLS on a specific website that Google has indexed for the past year. Industry Experts: Industry experts are the people who are equipped with the most credible training, skill, knowledge, and experience in a specific niche, field, or study. Infographic: This is a visual piece of content that contains a lot of graphics and charts to deliver a message to an audience. Infographics typically contain embedded links that make them easier to share across the web. Interactive Content: A type of content that encourages the participation of a user by inviting him to complete an action to generate a desired result. Internal Link – A link that will direct the clicker to another page that is within the structure of the main website. For example, facebook.com/profile is an internal link of facebook.com. Internet Protocol: Internet Protocol or IP is the most basic procedure used to relay and deliver information across networks. It is what makes the Internet work. Internet Marketing –The process of using the Internet and its products to promote a business and market its products and services. It is also known as online marketing. Invisible Web – A term coined by Jill Ellsworth, which refers to the number of information and web pages that search engines do not index, and thus, are not accessed. IP Address: An IP address is the location given to a computer that’s connected to the Internet, and it’s primarily responsible for allowing networks to communicate with each other. It is composed of a unique sequence of numbers. IP Diversity: The IP diversity signifies the number of backlinks that you’ve received from different IP addresses. The better the IP diversity, the higher the ranking given by search engines. A high IP diversity tells search engines that your website has content that is useful to a large number of people from different backgrounds. Juice: More popularly known as link juice, this is the value or the quality of the backlinks that your site has. Links that are from popular, relevant and credible websites pass on a higher amount of link juice; this link juice affects your search ranking positively. Keyword: Keywords are words and phrases that allow search engines to find the gist of a site’s content, as well as to index that content. Keywords are also search terms typed in by the user in the search bar. In SEO, a keyword is a major factor that helps boost search ranking. Keyword Density – This is the number of times your keyword appears on a page. It is usually presented as a percentage based on the length of an article. For example, if the content is made up of 100 words, and the same keywords are present 5 times within that article, the keyword density would be 5%. Keyword Optimization – The process of not only using the proper keywords and phrases, but also placing them in strategic locations of a web page, while also being mindful of keyword density. Keyword Popularity: Keyword popularity refers to how popular a keyword is, particularly how often the keyword or set of keywords have been used by search engine users within a specified time frame. Knowing keyword popularity is important in determining the kinds of keywords you should use to increase the chances of your site appearing at the top of the SERPs. Keyword Prominence: Keyword prominence refers to the number of times the keyword or set of keywords appears in a single webpage. This also refers to the position of these keywords in that page: a keyword placed in a post’s title would be considered to have high keyword prominence, for instance, as opposed to a keyword buried somewhere in the middle of that post’s body copy. Keyword Research – The task of coming up with the right keywords and phrases that will produce the best results, usually when it comes to improving the search ranking. Keyword Spam – Multiple appearance or overuse of keywords on a page to manipulate the page’s ranking on the SERPs. Keyword Stuffing – A harmful process of putting as many keywords as you can into content without considering if the keywords fit naturally in the context of that content. It is an outdated technique often related to black hat SEO and often done by SEO companies that want to game Google’s algorithm. Keywords – These are words and phrases that serve as the summary of a web page’s contents. With relation to search engines, keywords are search terms that a user uses to answer a query. In SEO, the process of using the right keywords to boost search rankings is called keyword optimization. Landing Page – This is the page you will “land on” when you click an ad or a website link. The landing page is basically the website destination of a clicked link. In search engine marketing, the landing page holds the crucial task of immediately engaging a visitor to increase his chances of converting, whether by signing up to a newsletter, liking a social media page, or buying a product or service. Last Crawled: The very opposite of First Crawled (or First Crawled Date). This refers to the last time a particular web page was crawled by web bots like Googlebots. You can find the last crawled date of your webpages by using the search operator cache. Lead – A lead is a contact channel/opportunity through which a business owner may pursue a potential customer. Link – A clickable text or image that directs you to a corresponding web page. Link Asset: Anything that you post on your site that will drive traffic to it and encourage them to convert or accomplish a desired action, particularly in terms of link building. Link Bait – Content that is meant to catch people’s attention. These are usually posted and shared on social media sites and other web sites in order to build inbound links and lead more traffic to the original site where the content is posted. Link Building – It is the process of increasing the links that are pointing to the website as a means of increasing the flow of link juice, which will then affect a site’s ranking on the SERPs. Link Equity: Link equity refers to the value that a link can provide to a page it is linked to. There are several factors that affect link equity, such as page rank, domain authority, and the usefulness of the content. Link Exchange – This refers to the process of exchanging links with other websites. The process is mutual, with you posting another website’s link on your site, and the owner of that website posting your link on his. Link Farming: It is a black hat SEO technique wherein sites generously plant and harvest several links to other websites, regardless of content and niche, just to get links and increase their rankings on the search engine results pages. Link Injection – This refers to the process of hacking/breaking into a website’s code/server and adding a script that usually produces a link (usually invisible) pointing to their own website to get the SEO benefits from the hacked site. Link Juice – It is an industry term often referring to the passing of value of a link that is pointing to a website. The higher the quality of the links linked to a site, the greater the chance of a higher ranking on the SERP. Link Neighborhood: A link neighborhood refers to the location of a site based on the location given by other websites that it links to and are linked to it. Your website could belong to a good link neighborhood or a bad one. That is why it is important to only link to and allow links from quality websites that have credible content, high ranking, and no involvement in malicious link building schemes. Link Profile: Link profile, or backlink profile, is a collective assessment of the backlinks present on a website. Link Rot: Link rot, also popularly known as link death, refers to the occurrence of a link becoming permanently inaccessible, probably due to the page not being updated. Link Value: Just like link equity, link value refers to the quality of the link, but in this case, it focuses on the link’s authority and ability to share link juice. Link Velocity – It refers to how quickly backlinks are made and removed. Linkability: This refers to the website’s chances of getting organic backlinks. Linkerati: The Linkerati is considered to be an elite party of experts who are well trained and learned in creating quality content, link building, and establishing web presence. The group, through its services, is known for boosting the brand of companies or websites that it sees as useful. Live Blogging: Live blogging is the process of blogging in real time, usually done during a special event. It is considered a positive way to generate links because of the opportunity to publish updated content directly from the source. Local SEO – A form of Internet marketing in which you can promote your products and services, based on the location of your customer. Local SEO is the process of optimizing your website for local customers. Long-Tail Keywords – Keyword phrases that are made of 3 or more words. These keywords make search queries more specific to a niche, and also narrows search volume. LSI – Latent Semantic Indexing. Basically, it is an algorithm that helps search engines determine what a website is all about, and its relevance to a search query and other search terms. Magento – a content management system (see entry for this term) used specifically for e-commerce sites and published by Varien Inc. Majestic SEO: Majestic SEO is a company whose products and services help websites work on their SEO strategies. Manual Actions – A feature of the Google Webmaster Tools that notifies you if your site is not following any rules listed on the Webmaster Guidelines. Manual Actions also provide you with steps and links that will enable you to solve these problems. Media Buyers – These are the people who are responsible for media buying. They negotiate the price and the placement for an advertisement. Media Buying – The process of buying media real estate (e.g. advertisement space) for advertising purposes. Meta Description – This is the supporting text of the meta tag that provides more information on the content of the web page. In the search results, it appears below the title. Meta Tags – These are HTML and description tags that show a summary of a page’s content. They allow you to highlight important keywords that affect the webpage’s rank. Meta Title – The name of the web page. This shows up as the title of your content on the search results. Meta Keywords – These are the keywords used that provide the search engines enough information on what the website is all about. Meta Robots – Tags placed at the very beginning of a website to inform the spiders and crawlers if the page should be indexed or not. MFA – Made For AdSense. A term that describes websites that are simply created to be used for AdSense in order to generate a trickle of income. Microblogging – It is an Internet service that allows users to share information in very short snippets. The most popular example would be Twitter, which lets its users post statuses that are composed of up to 140 characters. Mobile Marketing – A part of online marketing in which promoting a brand or a business is done via mobile. This also involves the development of a website’s mobile and application version. Monetizing – It is the process of presenting new features on your website that will enable it to make a profit. Naked Link: A naked link is a hypertext that uses the website’s URL as its anchor text. For example, instead of “Sample”, the anchor text is www.sample.com. Natural Listing – Also known as unpaid search results, the natural listing is the list of results retrieved by search engines, based on their relevance to a search term. This does not include advertisements. Navigation – The ability to move from one page to another in a website. Navigation Bar: The navigation bar is a static bar present in a webpage, usually in the homepage, that contains links to other pages in the website. It serves as a clickable table of contents that makes it easier for visitors to navigate a website. Negative SEO – The act of intentionally decreasing the ranking of a targeted website by using harmful SEO tactics. Niche – It is defined as an expertise or a specialty. NoFollow – It indicates to search engines that the link should not be followed or crawled. Thus, that link should not be considered a factor when calculating the ranking of a website the nofollow link is connected to. NoIndex – It is a tag that tells search engines not to index a portion of a website or the entire website. Off-page SEO – It refers to optimization techniques that do not affect the look of your website. This includes link building and social media marketing, and it is also concerned with user experience variables like loading speed. One Way Link – This refers to the link on other websites that point to yours. Unlike reciprocal links, these websites don’t get their links posted on your website. Having one way links is an indication that your content is valuable, and so other websites are referring their readers to you. On-page SEO – It refers to optimization techniques that directly affect the ranking of a website on search results. It is mainly concerned with website design, basically everything that you see on a website, from its placement to content to keyword, falls under on-page SEO. Optimization – The process of enhancing all aspects of your web page. Opt-in – When a person decides to receive any form of communication from your business, usually by signing up to a newsletter. It is another term for subscribing to your email list. Opt-out – When a current member of your email list decides to unsubscribe from your communication services. Organic Link – A natural backlink to your website created by other websites. Organic Results – These are the listings that appear on the SERPs, whose rankings are based on the algorithms that search engines have set. These are similar to natural listings. Outbound Link – The link that you use to connect to other websites. PPP: PPP, or pay-per-post, is a service wherein content creators and bloggers are introduced to websites that are willing to publish their creations with payment. Page Rank – It is a metric given by Google to websites, based on their relevance to a search term. The score goes from 0 to 10 with 10 indicating that the website is the most valuable and authoritative. Take note that Google uses a variety of algorithms to rank each of these sites. Page Speed – See Site Speed below. The time it takes for the website or web page to load, as well as how quickly the page can execute commands, such as opening another page within the website. The faster the page loads or carries out requests, the better. Google has also stated that pagespeed is an important factor that affects search rankings. Page Title – It is the title of the webpage, as indicated by the meta title. Paid Directory Links – A directory that sells links to those who engage in link building. Paid Link Building – This refers to websites that will accept your guest posts and links, and agree to link back to your site for a price. Paid Search – It allows advertisers to buy a placement on the search engine results pages when a searched term is related to the keywords that the ad uses. Paid searches fall under search engine marketing strategies. Penalty – The consequence of not following search ranking guidelines. There are different forms of penalties given, depending on the degree of the offence committed. For example, if your site is found to have unnatural links and you ignore the search engine’s warning, your site would then have its search ranking decreased. Repeat offenders could then face a graver penalty or de-indexing of the website. Persona: A persona is an online individual created for the purposes of establishing a company’s online presence. The persona often participates in social media and blogging activities, as well as for reaching out to other websites for link building. Permission marketing – A non-intrusive form of marketing wherein an advertiser seeks the consent of a target customer first before showing him an advertisement or sending him messages. Permission marketing is often used in SMS and email marketing, wherein the marketer needs to get the contact details of the target market before he can directly communicate with them. The consent of a user is usually retrieved via opt-in forms and newsletter subscriptions. PHP – Hypertext Processor. It is a programming language that interprets HTML pages and scripts. Pinterest Rich Pins – These are pins on Pinterest that add extra and useful information about the featured pin. Currently, there are five rich pins, namely: article, movie, place, product, and recipe. Plug-in – It is a file or software that provides new features and functionality to a website when installed and enabled. PLR – Private Label Rights. The label that indicates if you can modify, reuse, and resell a digital product. Pogo-sticking Rate: Pogo-sticking refers to when a user clicks on a search result, then clicks back to the SERPs very rapidly as the page for the first search result loads, going on to choose a different search result. The pogo-sticking rate refers to the frequency that this action happens. A high pogo-sticking rate indicates a high visitor dissatisfaction with a site’s landing page. Pop-under – A less obtrusive form of advertisements wherein the ads pop under the browser. Pop-up – An advertisement or a banner that suddenly “pops up” in front of the browser when you open a website or click on a link. It is generally frowned upon because of its intrusive nature. PPA – Pay Per Action. It is also known as CPA or cost per action. It is a type of marketing model wherein you pay a settled amount for every successful action, like a settled transaction, a fixed number of hits, a confirmed sale, etc. PPC – Pay PerClick. It is a type of paid search model wherein you pay a settled amount to the website owner (the publisher of the ad) for every click that your advertisement gets. An example of PPC marketing is Google Adwords. Printables: Printables are online materials that can be downloaded and printed. Useful printable materials can be shared online to increase authority and generate links. Private Blog Network (PBN) – It is a network composed of blogs that the administrator of the network owns. This type of network is usually created for link building purposes. Profile Links: A profile link is the unique link given to your profile when you create one in forums, message boards, and social media networks. Some sites allow you to customize your profile link to make it easier to remember and promote. Unfortunately, profile links are low value links and are not effective to use as a strategy in link building. Private Proxy – A proxy that can only be accessed with authorization or log-in credentials. Proxy – It enables the user to conceal his IP address and use the Internet anonymously. Public Blog Network – It is a network where blog owners can put up their websites to get free content and generate backlinks from other blogs and websites within that network. Public Proxy – A proxy that can be freely accessed by anyone. Q&A Site– Questions & Answers website. This refers to websites that lets users generate questions where other users can answer them. Yahoo Answers and Quora are examples of popular Q&A websites. Quality Score – A score given by search engines to advertisements. Several factors affect the quality score, such as click-through rates, the quality of the landing page, and relevance to the query. There are benefits to having a high quality score, including being given the best ad placement and a lower bidding price. Query – The search term. It is the keyword or phrase that users type into the search engine. Rank – The position of a website on the search engine results page. Reciprocal Link – It refers to the link exchange between websites. It’s when you link to one website, and said website also links back to you. Redirecting – The process of directing a visitor from one website to another. Resource Pages: A resource page is a page that contains a list of websites and content that belong to a particular niche or field of study. Resource pages can serve as a reference guide to links relevant to certain sites and content. Relevancy: In SEO, especially in link building, the relevance of a website or a piece of content matters greatly. Generating links from websites that are highly credible and whose content is relevant to yours also has a positive effect on your search rankings. Relevancy also refers to your website being optimized to be seen as relevant to a search query or keyword. Remarketing: Remarketing, also known as retargeting, is the process of continually changing the way a product or a service is being marketed for the purpose of marketing to and retaining previous customers. Rich Snippets – These are HTML tags that accompany a website’s listing on the search engine results pages. Rich snippets could show maps, reviews, and contact details of a business. Check out our schema post and free Schema plugin here. Robots.txt – It is a text file found at the very source of a website, and it contains information for spiders and crawlers. ROI – Return on Investment. The profit or the gain from an investment. Root Domain: The root domain is the most basic domain of a website. Our root domain is www.leapfroggr.com. If you click on our blog section, though, you end up with www.leapfroggr.com/blog/ in your address bar: this is no longer the root domain because of the addition of “/blog/” to the URL. RSS – Really Simple Syndication or Rich Site Summary. A technology that enables people to receive news, updates, and other information about websites. SAPE Links: SAPE is considered to be a link marketplace, and so SAPE links are those links that you buy from SAPE. What happens is that you choose and buy from a variety of packages, and in return, you will receive a number of backlinks to your site. Scraping – It refers to the process of obtaining a vast amount of information from a website. Search Engine – It is a software program that retrieves data according to the given keywords and relevance of the site to the keywords. In a word, it’s called Google for most people as it is the most popular but depending on your area of the world, it could be Yandex, Baidu, Yahoo or Bing. There are also others but those are the mainstream brands. Search Queries: Search queries are modifiers used with keywords in order to better filter the results that a search engine would bring back. These make it easier and quicker for the visitor to find what he is looking for online. SEM – Search Engine Marketing. The process of marketing a website to increasing its ranking on the SERPs. SEM involves paid searches, PPC, and advertisement placements. SEO – Search Engine Optimization. The process of enhancing a website to increase its ranking on the SERPs. SEO aims to improve the quality of a website for the sake of both search engines and visitors. It involves optimizing the content that appears on the page (user interface), as well as those that don’t (user experience). SERM – Search Engine Reputation Management. This is also known as online reputation management or ORM. It is the public relations aspect of your business, when you get in touch with your target market and see how people see your business. This allows you to come up with the best strategies to maintain your good standing online. SERP – Search Engine Results Page. The result that search engines bring back when a query is made. These results are ranked according to relevance. These days, results may be text, images, or videos. Shared Hosting – Website hosting where hosting and resources are shared by other websites. Siloing/Silos – This is the process of organizing topics within a website in a general to specific method to show users and search engines the relevance of each category and page. An example: Assume your website covers all the different kinds of travel destinations. You can separate them by country -> City -> Town. Site Audit – The process of thoroughly reviewing a website to make sure that it is satisfying a certain criteria, as well as performing well to meet set goals. Sitelinks – Inner links to a website that appear under the main listing on the SERP. This is similar to rich snippets. Sitemap – A page that connects all the pages of the website, allowing spiders to crawl the entire website quickly and easily. Sitewide Link: A sitewide link is a static link that remains visible in all pages of a website, usually found in the same place on each page. Our logo at the upper left of this page is an example. Social Media – Websites and applications that are used for interactive purposes. These sites promote the participation of the user and the user’s self-made content. Examples are Facebook and Reddit. Social Media Marketing – The process of using social media to reach out to target markets and to promote a business and its products and services. Social Networking – An activity under social media in which participants use sites, applications, and networks to interact with one another, share information, and other social purposes. Social Payment System: A system wherein a person is given payment in exchange for completing a social action, such as sharing links in social networking sites. Social Signals – A part of off-page SEO that measures the popularity of content judging by how many times it has been shared and how many people are talking about it on social media. Source Flag: The source flag states the kind of link, and helps distinguish this link from other links. Spam – These are irrelevant and unwanted messages that are sent and posted online. It also refers to any harmful and criminal activity done in the hope of gaming the algorithms of search engines. Spider – A software program that search engines use to look at the relevance of the content of a website. Splash Page: A splash page is an introductory page that appears before a person is taken to the intended website. Usually, splash pages have interactive content that encourages the participation of the viewer. Splash pages have advantages and disadvantages. For instance, while some people might enjoy this short intro, others might just find it a hassle. SSL – Secure Sockets Layer. It is a protocol that ensures safe transmission of information over the Internet and between browsers and web servers. Static Webpage: A static webpage is a simple HTML web page that has zero dynamic content. Strongest Links: Strongest links are considered to be the most powerful in the sense that they are the most relevant and authoritative in a niche. They are the links that have the highest chance of being indexed by search engines. Subpage: A subpage is basically a page within a page. You can tell they are subpages when their URLs contain (/) after the home page (e.g. www.page.com/subpage). Subscriber – A person who follows or opts in to any one of your online services, such as your newsletter, RSS, or your social media page. Tags – Words, keywords, and phrases that are used to categorize content like blog articles, pictures, videos, etc. Tags help catalog a variety of content, as well as give SEO points. Target Audience – The people your business, advertisements, content, products, and services are pursuing. These people are those that will be the most interested in what your brand has to offer, and so you are basically structuring your website to suit their wants and needs. Tiered Linking – A link building technique wherein a backlink structure made up of several tiers is created to increase the number and quality of websites that link to your main page. For example, your website has ten sites that are linking to it. The ten sites will be tier 1. Each of the ten sites in tier one would then have twenty sites linking to the ten. The twenty sites make up tier 2, and so on. Tiered link building is one of the most popular forms of black hat SEO. It is also known as a link pyramid since the tiers usually take the form of a pyramid, with the main website at its peak. Time-sensitive Content: Forms of content that are created and published during special times, like holidays and celebrations. Usually, time sensitive content will get good sharing figures when published because of relevance to current events—although their very nature means that they tend to experience sharp drops in user interest once the event they are for passes. Title Tag: The title tag is an HTML code that describes the content of a page, as well as provides its title. The title tag is what is displayed on search engine results pages. TLD: TLD stands for top-level domain. It is the domain’s highest level in the Internet’s domain naming system. The most popular example of TLD is (.com). TLS – Transport Layer Security. Just like SSL, TLS is responsible for ensuring that information passed between web servers and browsers over the Internet are kept confidential. Toolbar: A toolbar is a bar that contains buttons and icons, even search bars, which allow a person to easily navigate the pages of a website. Trade Articles: These are articles specifically created for certain trades and industries. Usually, these articles will be used as sources to provide more information. Trading articles, on the other hand, is the process where two authors/sites submit articles to one another for link building purposes. Traffic – The number of visitors to your website that can be tracked. Traffic is a performance measure that indicates how popular your site is becoming, and it is a major factor that will help you tweak your SEO strategies. Traffic Driving and Generating – The process of conducting activities that will drive and generate traffic to your website. Troll Bait: Troll bait is a type of content that is so controversial that it will incite a lot of arguments, heated discussions, foul comments, and also links—all for the sake of increasing your page’s link juice, as well as popularity. Twitter Cards – This refers to the feature that allows a Twitter user to add forms of media like pictures and videos to accompany his tweets. This feature helps companies make their tweets more engaging to their followers. Twitter: Twitter is a microblogging website, as it allows a limited number of characters per post, but it is known today as one of the most prominent social networking sites, as it allows the sharing of images, videos, and other content. UGC – User Generated Content – Simply put, these are the types of content that are originally created and submitted by users. UGC comes in many forms, from comments to texts to pictures to videos. Universal Search – Search results that display a variety of content, such as images, videos, and even maps on a single results page. Unnatural Link: An unnatural link is a link whose purpose is to mislead search engines and manipulate a website’s search ranking. Unnatural links are often intentionally positioned by the webmaster himself. These links can be cause for a penalty by the search engines. Upsell – In the sales funnel model, upsell refers to the process of offering a client a product that is more expensive than the one he has previously bought. URL – Uniform Resource Locator.The unique address of a website. Usability – The quality of a website based on its design, relevance, and how effective it is for conversion. User Experience – In the SEO world, user experience primarily refers to the ease of use that your site offers to the user. The better and easier it is to find what they want, the better your score is. User Interface – It pertains to the interaction between the computer system and the computer user. The user interface refers to how quick and easy it is for the computer system to execute the commands of the user. This refers to the commands and programs a user uses to execute a desired action and communicate with the computer. Viral Marketing – The process of creating and sharing content and advertisements that will not only catch the attention of people, but will also be made viral in the online community. Web 2.0 – A term that describes so-called second generation of Internet services, which primarily focus on sharing and exchanging a vast amount of information online. These include social networking sites, wikis, and other communication tools like forums. Web Hosting – A paid service that agrees to host your website for you. Webinar: A web seminar. It is a class that is conducted online. The session can be live streamed or listened to from your phone. Webmaster – The person who owns and maintains the website. Webmaster Guidelines – These are basically rules and best practices that Google provides to help website owners optimize their pages for higher search rankings. Webmaster Tools – These are the tools that you can use to manage and monitor your website and its search ranking. Web Tools: Web tools are programs and instruments used to make it easier for you to accomplish tasks on your website and optimize it. White Hat SEO – Techniques of SEO that adhere to the policies set by the search engines. You are optimizing in a correct manner, using awesome content that actually contributes to the topic leading to natural actions for users that want to share your content or cite it as a reference. White Papers: White papers are papers created to discuss a specific stand or point, usually including a business’s mission, vision, goal, position on an issue, philosophy, etc. Unlike scholarly pieces, white papers do not dwell too much on intricate details, and are only made to shed light and raise awareness about chosen issues. Widgets: Web widgets refer to a small program or application that serves to satisfy a limited function. They can be installed on a web page for added functionality beneficial to the user. Examples of web widgets are email subscription buttons, RSS feeds, etc. Wiki – An online dictionary/encyclopedia that is controlled and created by its many users. Content is user-generated, as well. WordPress – An example of a content management system (see entry for this term above). It is free and is considered the most widely-used blogging system to date (2014), and is used by both casual bloggers and business bloggers alike. XML – Extensible Markup Language. A text format used by programmers and developers to encode Web documents and make them readable for humans and machines. XSS – Cross-Site Scripting. A security breach that takes advantage of a website’s vulnerability by inserting inappropriate elements that are meant to steal a user’s private information. Yandex – It is an Internet company in Russia that developed the biggest and most popular search engine in the country. Zerg Rush – If you haven’t done this before, just type “Zerg Rush” on Google. Always great to have some fun from time to time. ZMOT – Zero Moment of Truth. Google released a book back in 2011 that talks about this. 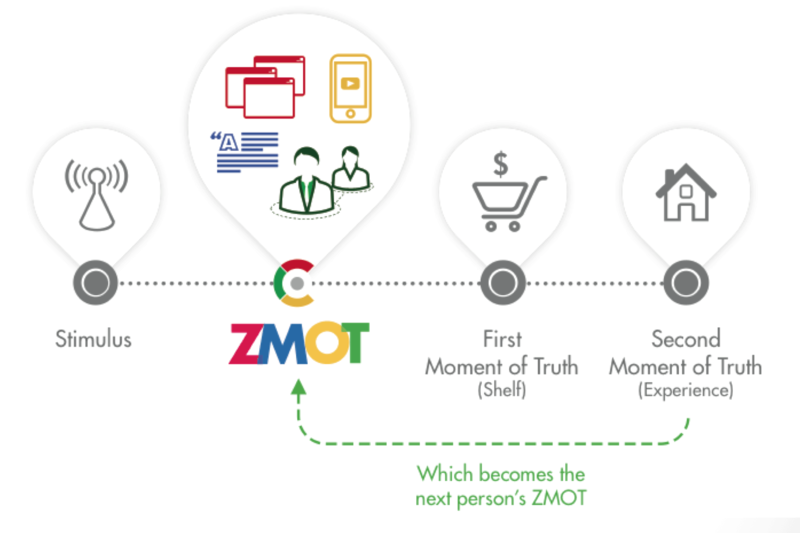 It’s essentially part of the buying process, where the ZMOT is the research phase AKA when you “Google It” and it starts you into your buying journey. So when you encounter a stimulus, let’s say an Ad, you then start with “ZMOT” and research about it. You then hit the the First Moment of Truth and eventually, the Second Moment of Truth. We’re in the business of search and this is definitely and important phase. We Missed Something Didn’t We?? We’d love to hear from you about all the things we missed! WOW, what a list! This is sure to clear up a lot of confusion for a lot of people and is definitely a convenient page to have handy. I’ve bookmarked it myself for future reference. There’s a lot of terms in IM so it’s hard to keep track of them all, LOL. For fun I tried thinking of some terms and seeing if I could find one that wasn’t on here. So far, I haven’t had any luck. If I do run into something that’s not on here that I think would fit this glossary nicely, I’ll be sure to let you know. You just wowed me! This can be an ebook I would surely pay for! I always wanted some kind of glossary like this when things get me confused so I can go there and reference it. And here it is…you have given us an important tool to work with. This is one post that everyone needs! You bet I’m going to spread this one around. Stuff like this is so valuable to anyone that is on the internet! The marketer in me wants to tell you to sell it! lol. As I went down the line, most things I knew about, but my greatest take-away from this post is Yandex which I’ve never heard of. There are a few more things but I’m bookmarking this! I have to give a huge shout out to my students to come on over here because many are new to marketing and some are new bloggers. This post is a must have! I appreciate you sharing this out to everyone, including your students! I’d love to hear from them and what else they might think that I could add. You are right it does sometimes feel like gibberish! This is really a big list of SEO and Online Marketing terms. Got huge new terms and their definition. This will help for an effective SEO & Online Marketing. Thanks for such a nice sharing. Amazing work! We can see your hardwork here for bringing up this wonderful glossary in front of us. Thanks for the wonderful collection. This is helpful for everyone. I am agree with Donna here that it should be a paid one. Thanks again! Have a wonderful day ahead! I appreciate you taking time to drop by here to leave your thoughts and thank you so much for sharing this out! Impressive Dennis! I have to side with Donna. I’d pay for this information in eBook form. How long did it take you to compile? This both awes me and makes my eyes glaze over a bit too lol 😉 So much good, solid information, and so many terms, I feel overloaded but in a good way. It’s a stunning resource and like James said, we really need this information to get things straight on the IM front. Even seasoned vets like myself can use a primer from time to time. Or, lazier IM folks like myself can get off of my marketing duff to learn more about redirects and all that good stuff that smart, savvy marketers like yourself chat about. Thanks Ryan! It took some time, around a couple weeks of slowly compiling words, then a full day to go over it. I have topics planned in advanced since I barely have time to blog, so a few minutes a day to contribute to a piece until I feel it’s ok to be released. Thanks once again for stopping by! I really appreciate you taking time off your island hopping schedule! I think you should have posted it as a page, or better put a link in the navbar, it will be useful for all the future visitors as well. I did something similar on my blog as well. I initially wanted to but I thought about testing this. It’s been a while since I went away from the “by the book” style. Thanks Asif! I appreciate you taking time to come over! Hope to see you again soon! Those who earlier have compiled such glossary can understand how much hard work you had to do while compiling this wonderful post of glossary. You deserve a big bravo for this because it is the complete solution for those who need definition of different terms while working on their blog or writing a post. You almost covered all the important terms and concepts and define them in very easy to understand language and skillfully avoided unnecessary details to make readers get the most relevant info that can make them work on the terms. I don’t remember I ever have seen such post earlier which means all the definition you had to search separately and have to do extensive browsing for each term one by one. Just a suggestion it will be more wonderful if you put the PDF copy also to download after subscribing your blog. Also multiple choice questions for each term can also be developed to make readers remember each term perfectly. Thanks a lot for sharing this very wonderful glossary. I hope you have a wonderful weekend! Thank you for stopping by! You talk about a wealth of information – You have provided it here. I love the term gibberish and it truly was a fit to my mindset when I first started online. It was such a huge learning curve and I truly wish I had found your blog back then. It surely would have been a huge benefit for me! This post is so comprehensive and one that I will bookmark after this comment because even though I am familiar with most of these terms,there is still a few that caught me off guard and I learned something new today because of you. I do agree with Mi Muba, a PDF copy of such an awesome tool would be awesome. This would be something great to offer your readers for signing up to our list. Thank you and I hope many new bloggers find this wonderful post. This is great content right here! I cannot recall ever visiting a site before where someone has combined all these terms into one documented post. And you are right, a lot of the terms sounds like gibberish. I applaud you for your hard work, your time and effort to compile this glossary of terms. I will bookmark and pin for future reference and guide. Thank you so much for sharing. I learned a lot from it. Have a great week ahead. I appreciate the kind word and I look forward to seeing you back here again soon! Thanks a lot for providing us the glossary of digital marketing. It would certainly helps all of us bloggers to understand the concept of digital marketing industry easily. And a worthy resource for anyone who gets a little confused by all the tech jargon flying about these days (like me!). May I simply just say what a comfort to discover soebody who genuinely knows what they’re discussing on the internet. you aren’t more popular since you most certainly have the gift. What a fantastic glossary you’ve compiled for us, simply genius! Bookmarking right now, and definitely sharing with friends. It’s was to get confused on some of these, and you’ve delineated them perfectly. You did a fabulous job in creating this wonderful list. Just got back from the hospital! 😀 Trying to catch up with work. I would’ve added it as outdated but to be honest, I don’t think it is. All signs point to it being relevant and still up even if they keep telling people that they will “stop” updating it. They said that before, they’ll say it again just to get people off it. People abuse it still today. What an epic list. One could simply learn many things about blogging to internet marketing just by going through this post. It might sound completely insane but I was trying to find if you had missed anything and I am glad I found one that could be included here. “pogo-sticking rate” do you think it qualifies to in the list ? Thanks Saikat! That’s a good suggestions! One of those kinda “made complicated” phrases! I’ll definitely add that in! I can’t just imagine the amount of works, time, energy and resources you might have put into compiling this together…..you’re simply awesome. I tried to find what is missing, but my brain can’t just think of any at the moments. It seems the list is complete and sealed. Thanks Dennis, you’ve really did a great a job here. This is something that we all need! Even though I’ve been blogging since 2010 and learned a lot, I still come across some terms that I’m iffy about or just feel dumbfounded. What would be even more beneficial is to those newbie bloggers who are just getting their feet when in the blogosphere. I know that they will definitely come across a new language and this would be a great reference to come to when they want to make sense out of whatever they read. This post is definitely worth the bookmarket! Thanks for sharing Dennis! I hope you had a great weekend! We’ll continue to work hard to keep this updated! Appreciate you coming over and sharing! Yeah, they’ve been having some trouble with their system for the past weeks. I havent been on there for a while. Wow! Just when I was beginning to search for some learnings on SEO, I see this! Awesome compilation Dennis! I am tweeting this right now! This will help a ton of people like me out there! Wow Dennis, this is an awesome glossary. This is great for people who do not understand a lot of the terminology and it would have been darn helpful for me in my early years. I’m proud to say that I either know about a lot of these or have heard of them although I might not actually understand what they are. As you know I’m not a big SEO gal myself so I just haven’t studied it a lot. Some of the Google terms ‘ve never heard. The Y and Z’s I had not heard of at all so learned something new from this and will definitely be sharing this post with my friends. Great job of putting this together and a terrific reference to have. Thank you again for this and enjoy your week and the new baby. Thanks Adrienne! I’m enjoying it so far. The adjustment from the amount of sleep I get does hurt my already chugging productivity levels lol. Ill be back on your blog soon after I change this diaper Ha!! Hey Dennis, I have never found a list like this anywhere. I mean, I didn’t even got to the end of the article and I made a pit-stop at J! Man, you made the most amazing list of them all. I may sound a bit selfish, but you need to keep pampering us with Internet and Digital marketing lists and detailed articles! LoL. Thanks Arbaz. Ill keep improving it as time goes by. Yeah there is and thanks for your kind words! Dennis I salute you for working so hard in making this digital marketing glossary. Newbies may definitely like it a lot as some terms may be new for them..Dennis this is the first time I have seen such a post by a blogger as many don’t realize that newbies don’t understand the meaning of many digital words. You include all things to related Blog and SEO. It is very useful for newbies. thanks for sharing this great post with us. I appreciate your work because it is not easy to put it serial wise. Amezind work.. You just include all the resource which was need all the bloggers!! Its really hard to find out and mention in this way.. Nice .. very nice .. Thanks Akash. Hope to see you again soon. Wow – haven’t you worked hard? As Donna said – definitely worth turning into a paid product. I certainly wish I had known all those terms when I started out – and it’s funny, everyone assumes you know what everything means – and they shouldn’t! You have covered all the stuffs here. Could not found any other remaining from the list. Great work done here. Thanks Bilal! Happy new year! Hope you and your growing family is doing well and enjoyed a wonderful Christmas. I have a question for you. You mention Cloaking as a blackhat SEO trick. I was under the impression that’s what taking a long ugly affiliate link and branding it was… So what term describes what I just said? But now use YOURLS on my own domain, carolsentme.com so I can create any shortened URL I need to. Would love your opinion on this. Also, have you tested the green ‘snow’ on your site – increases engagement? Reason you added it? The link cloaking that you mentioned has good and bad types as well. The good one is how you are doing it. Basically a link shortener which is usually a no-follow. No harm there. Some hacked sites you might notice will show the same content when you load it in your browser, but try to load it in Google’s cache, and youll see a completely different content. The cloaked link can separate traffic based on the referrer IP. It can send you to a doorway page or some other page they want and lead the bots to real page or optimized one. Lots of options that can be done with it. Had a lot of fun back in the day with it LOL. Hope you enjoyed the holidays! Heard you are moving, MORE TIME with your daughter and grand-daughter! Happy new year! You’ll crush 2015! Very broad post and so so long list and so so informative. I felt like I am preparing for an exam that is about to happen tomorrow. Thanks for the great post. This can be sent to newbie so that he can get fimiliar with these terms. LOL! I guess It needs some more terms then so we can make a good exam out of this Haha! Thanks Nitin. Appreciate you dropping by! Amazing list. It’s just like a dictionary. I’ve bookmarked on my desktop. I am coming here from your post posted on Enstine’s blog! And this SEO glossary, WOW! Lots of terms which I didn’t know. Thanks for the detailed introduction of each terms. I just want to nudge if “Themed Link Building” is worth to add into your SEO glossary. This is an amazing list of valuable phrases Dennis that are very beneficial, and I see there are some new ones that I didn’t know were out here. I also plan to link to your list in one of my articles I’m writing, so “do” be expecting a “ping” heading your way. In addition, I’m glad to have discovered your site. See, you and I are actually connected on the Google Plus network. And, it’ inspires me the more when I find other aspiring digital entrepreneurs bringing an exciting message of prosperity. Digital marketing is also of a high interest to me, and so, I expect to find some great value from reading your “A Business Owner’s Guide To Digital Marketing” I just downloaded — I’m confident I will. None of us should ever come to the Internet while researching [how to be successful online] with a closed mind. You just can’t afford to be closed-mind when you’re planning on some form of financial success using the Internet. Anyways … I am glad to have connected with you here on your site. Appreciate you checking out my stuff. Let me know if you have any questions. Hope you enjoyed your weekend! Just getting back into the groove of things over here. A complete glossary for internet marketing, this must have caused you a lot of experience and research to write, I enjoyed it.